Recently, the Red Cross has come under fire for building only six homes after the 2010 Haiti earthquake, despite having received $500 million in relief money. The American Red Cross is the biggest NGO (non-governmental organization) operating in Haiti and bad publicity affects all groups, including ourselves, who are attempting to bring positive change to the island. Many people assume that Haiti itself is an impossible cause, but this is not true. While Haiti has its challenges, the Red Cross and other large organizations have seen massive relief effort failures in other countries, including the U.S. Their inefficiencies are magnified in a country like Haiti, where progress requires an in-depth knowledge of local politics and culture. 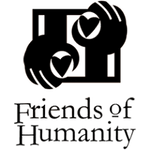 Friends of Humanity is a U.S.-based charitable organization, but unlike large charities, we operate continuously on the ground. We do not simply visit Haiti. We are tied to a group that has been successfully operating in Haiti for over 50 years. We do not make overly ambitious promises because we know how things work in Haiti. Change occurs one step at a time, in small rather than dramatic ways. International relief efforts are usually cut off from the people they help. They may bring in shiploads of rice, but they do not know the families who will eat that rice. We do. So we are well aware that any inefficiency on our part means a child we know by name will go to bed hungry. In other words, we are personally accountable. We have no salaries and no offices and no public relations team. Our volunteers pay their own way, or raise their own funds, to travel to Haiti. Close to 100% of all donations go directly to the people we are here to help. It is important to separate the government and the power structure from the average person. Sadly, the average Haitian suffers when scandals such as this arise because potential donors decide, “There is no point in trying to help Haiti.” Nothing could be further from the truth. We save lives every day. Is that worth $1 or even $100 to you? We believe it is.